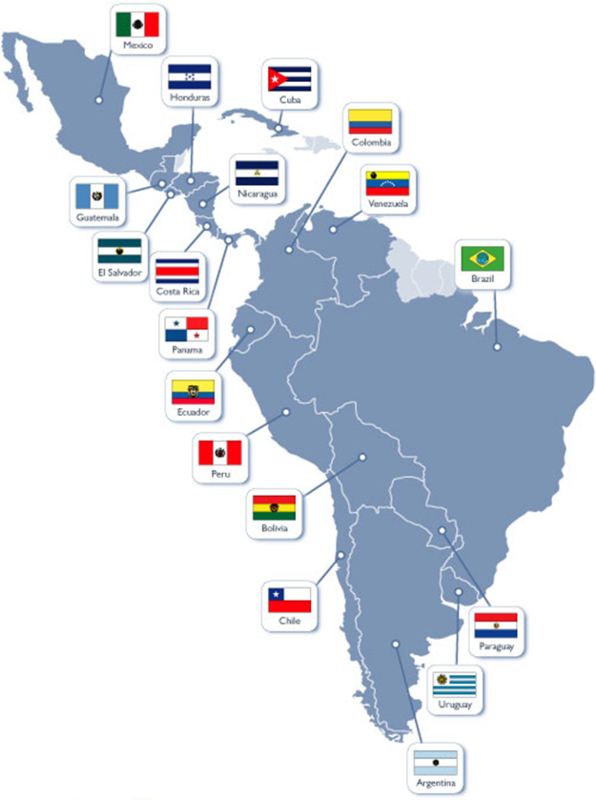 The development of an effective DLDD Information System for Latin America requires that all countries and organisations in the region work together for the survey, collection and harmonisation of available data, information and tools, in order to create a common system that is integrated and interoperable. At the regional level a basic assumption is that one party is dependent on the resources and competencies controlled by another, and that there are gains if the resources and competencies can be pooled. A scientific network for Latin America is being developed to capture the attention and the support of dedicated national and supranational institutions for unsustainable DLDD problems in the region. The Latin American scientific network on DLDD is made up of representatives from all countries participating in the EUROCLIMA Programme. The group of experts in the network is working together to improve the assessment, monitoring and mitigation of drought and the problem of land degradation and their impacts on human activities from regional to national scales in Latin America. They facilitate the sharing of information, experiences and best practices through global, regional, and national partnerships.